Sometimes I hear stories from my clients about their experiences with other real estate agents – agents who, in order to get the listing, quoted whatever price they thought the seller wanted to hear; didn't present current market statistics or evaluate the home honestly, but instead pressed hard to get them to sign on the dotted line; and made all sorts of impossible promises, all so they could get that listing. At Calgary Real Estate™, we don't care about getting the listing. We care about selling your home for you. 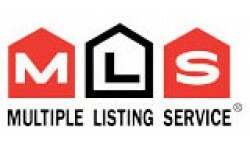 Anyone can list your home for sale, put a sign on the lawn and post the property on the MLS. But not every Realtor® can actually get your home sold so that you can meet your financial and other goals. Having a house or condo on the market is not the same as having that property sold. Everyone at my firm cares about what you want to achieve with the sale of your property. Your ultimate satisfaction with both the selling process and the end result – the price you get for your home and the amount of time it takes to sell it – is the only thing that matters to us. If it can't be done, our team of mortgage and real estate specialists will be honest with you, and help you find alternatives that work. Sometimes that honesty means we can't do business together. Once, one of my clients wanted to buy a bigger home. I had already helped him sell his first home and was reluctant to sell him the huge monster home that he wanted because I knew he couldn't afford it. He ended up buying an expensive home with another real estate agent, financing it with a high ratio mortgage. So I lost his business, but I wished him well. Sure enough, in a year he was back to see me; his business had slowed down and he wasn't able to make those mortgage payments. He was surprised I would still help him out (which I did) and I told him I didn't mind losing the business if it meant keeping a working relationship based on 100% honesty. My business model has been built around the fact that we care beyond our commissions. That commitment to honesty, wisdom and great service has ensured that my real estate company thrives, so that commission doesn't influence the advice we give to clients; it doesn't have to. Because our team watches and studies Calgary real estate trends and statistics every day, our colleagues in the business regularly seek our input on evaluating properties and market fluctuations. That kind of network gives us first chance at potential opportunities for our clients. I remember having a coffee one day with two of my colleagues at the office, and one of them asking me if I happened to have a client who wanted to sell an investment property. I mentioned that one of my clients might be interested in selling his; by the end of that day, I had listed the property, got two competing offers for it, and sold the property for higher than the asking price. We love working in the dynamic, booming Calgary real estate market. Each day is an exciting one and presents more opportunities to help our valued clients. If you own a home in Calgary and are thinking of selling, contact us for a free home evaluation that will let you know the value of your home in today's marketplace. We would love to sit down with you and go over all your plans and goals to see if now would be a good time to take your house to market. And we promise, wherever we go from there, to always put you first. Though we'll go into what all this means in much more detail, here's a basic idea of what you can expect during the home selling process, when you choose to list your home for sale with the Calgary Real Estate™ team. To prepare your property to be placed on the market, we will help you appraise your home through the critical eyes of a buyer. What impression does your house give — both inside and out? We will make recommendations on repairs, décor, and de-cluttering that could add thousands of dollars to the final price tag you achieve. A detailed marketing plan gives your property the maximum exposure. Calgary Real Estate™ will execute a multi-faceted marketing campaign on your behalf – one that maximizes our paperless philosophy and focuses on the way most people find their homes today: online. There are many variables within an offer – price is just one of them. The Residential Real Estate Purchase Contract includes other provisions like closing date and conditions that can affect the final sale. David can help you to evaluate all offers you receive, and advise you how to properly respond to an offer. Once your home has sold, you'll have a period of weeks or months before the deal is done. David will guide you through what can often be a hectic time, as well as provide moving resources for you so you're thoroughly prepared by the time closing day arrives.